(Ralph) Howard Bassett, age 70, died August 8, 2018, doing what he loved: feeding cattle on the farm. Howard’s farm was his pride, joy, and life. He loved the fact the he could raise his children “on the farm.” Howard had a wonderful work ethic, which he passed down to his children. Howard was a mentor to many young people, male and female, who worked for him through the years. He developed a special bond with them and loved each of them to this day. Howard was born December 2, 1947 in Delta, Utah to Ralph Henry (Bud) and Beulah Marie Petersen Bassett. Howard attended Delta school, graduating from Delta High School in 1966. He attended the College of Southern Utah before returning to Sutherland to pursue his dream of farming and tending livestock. Howard married Sydney Ann (Syd) Dalton on July 11, 1968 in Delta, Utah. 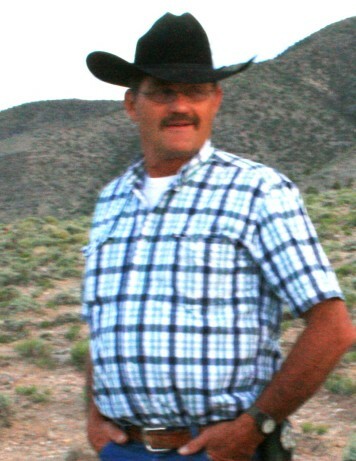 Howard was a leader in his community, serving on several committees and boards, including: President of the Millard County Junior Livestock Show and Delta-Oasis-Sutherland Cemetery District; Board Member of the Delta Canal Company, the Oasis Seed Cooperative, the Delta Soil Conservation District; and others too many to remember. He served as a counselor in the Bishopric of the Sutherland Second Ward. Howard is survived by his wife Syd of Sutherland; daughter Lisa, Russ, Dutch, Garrett and Griff of Elsinore; son Casey, Jaime, Kambry, Eric, Vale, Kien, Brynlee, Bryor, Broze, Brystee of St. George and Orem; son Brent, Christy, Avery, Caleb and Carson of St. George; sister Jacquelyn and Doug Turner of Hinckley; sister Paige and Jerry Hawley of Bountiful; brother Scott and Claudia of Delta. Funeral services will be held in the Sutherland Second LDS Church building on Tuesday, August 14, 2018 at 11:00 a.m. Viewings will be held Monday, August 13, 2018 from 6:00-8:00 p.m. and Tuesday, August 14, 2018 from 9:30-10:30 a.m. Both viewings will be held at the Sutherland Church house. Online condolences can be offered at www.olpinstevensfuneralhome.com.